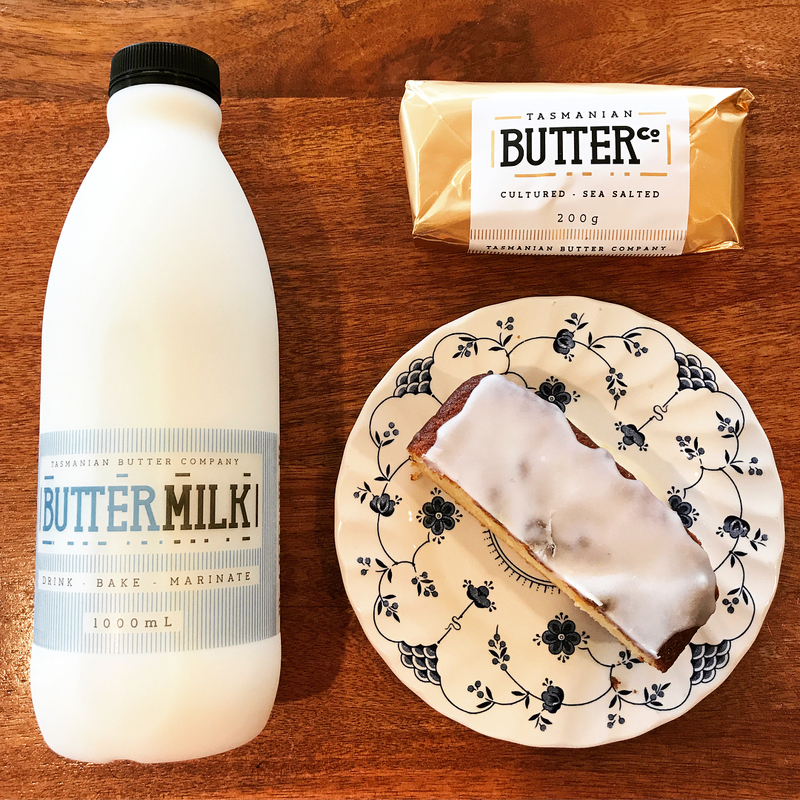 Madeleines - Tasmanian Butter Co. Beat the eggs with the sugar until pale and frothy. Put the flour and baking powder into a separate bowl and add the lemon zest. Mix the honey and milk with the cooled butter, then add to the eggs. In two batches, fold in the flour. Pour the mixture evenly into 2 piping bags and leave to rest in the fridge for a few hours, or overnight. When you are ready to bake, preheat the oven to 190°C. Butter and flour a 12-shell madeleine tin. Pipe about a tablespoon of batter into each madeleine shell. 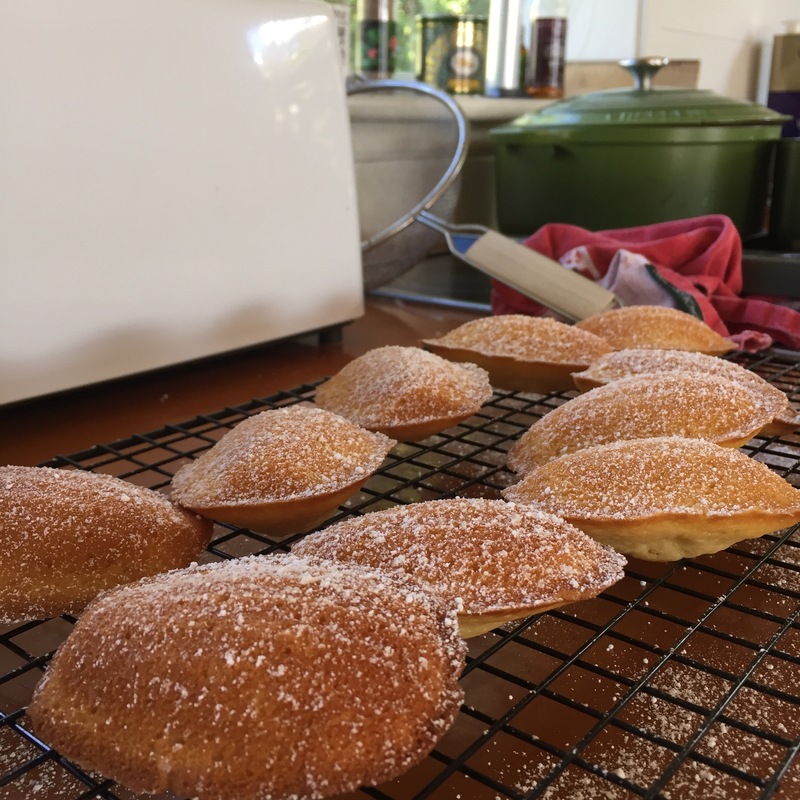 Bake for five minutes and turn the oven off for one minute (the madeleines will get their signature peaks), then turn the oven on to 160°C and bake for a further five minutes. Transfer the madeleines to a wire rack. You can either wash and dry the tin and repeat the baking as for the first batch OR leave the other piping bag in the fridge for later. I usually make a batch for breakfast the other for afternoon tea. When they are cool enough to handle dust with icing sugar and serve with a good cuppa.